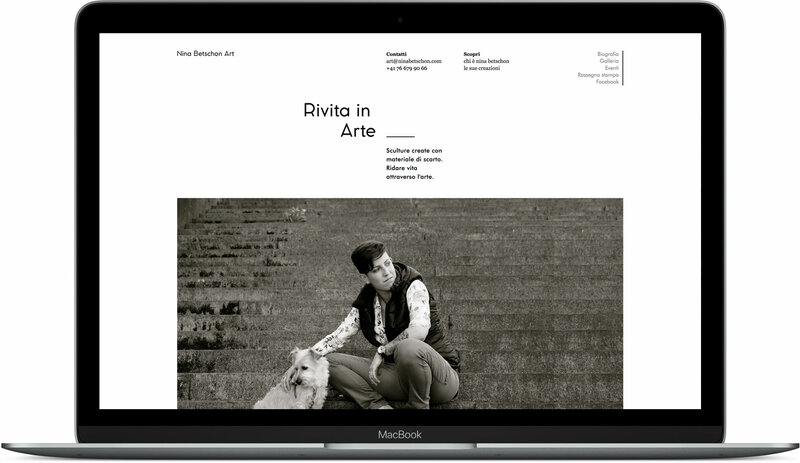 Work#7 | Web Design Portfolio | omigapun! 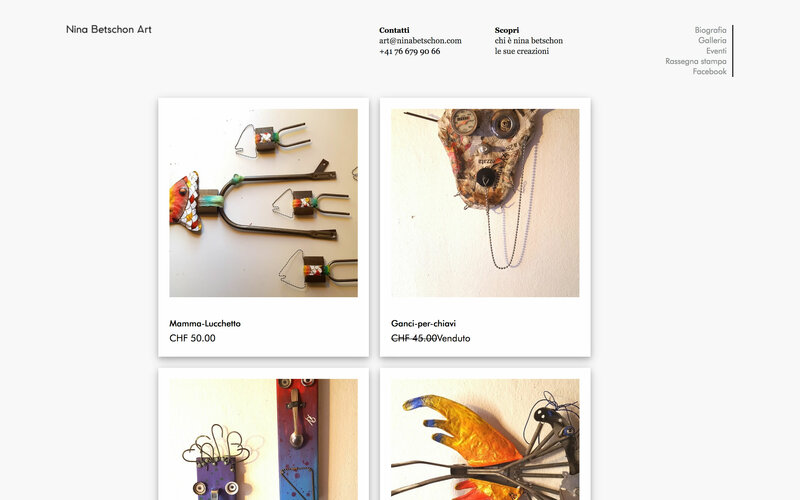 Online gallery for recycled artist Nina Betschon. 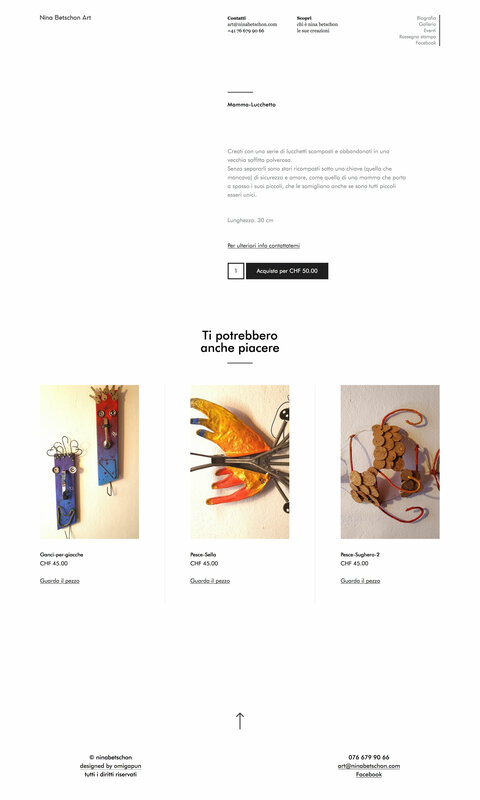 Together with Nina, we created a very simple website in order to highlight her unique art pieces.